Radiosurgery is either a primary or an adjunctive management approach used to treat patients with vestibular schwannomas. We sought to determine outcomes measuring the potential benefits against the neurological risks in patients who underwent radiosurgery after previous microsurgical subtotal resection or recurrence of the tumour after total resection. Gamma Knife radiosurgery was applied as an adjunctive treatment modality for 86 patients with vestibular schwannomas from April 1992 to August 2001. We evaluated the results of 50 patients who had a follow-up of at least 3.5 years (median 75 months, range 42–114 months). In 16 patients a recurrence of disease was observed after previous total resection. The median treatment volume was 3.4 ccm with a median dose to the tumour margin of 13 Gy. Tumour control rate was 96%. Two tumours progressed after adjunctive radiosurgery. Useful hearing (Gardner-Robertson II) (4 patients (8%)) and residual hearing (Gardner-Roberson III) (10 patients (20%)) remained unchanged in all patients, who presented with it before radiosurgery, respectively. Clinical neurological improvement was observed in 24 patients (46%). Adverse effects comprised transient neurological symptoms and signs (incomplete facial palsy, House-Brackman II/III) in five cases (recovered completely), mild trigeminal neuropathy in four cases, and morphological changes displaying rapid enlargement of a pre-existing macrocyst in one patient and tumour growth in another one. No permanent new cranial nerve deficit was observed. Radiosurgery appears to be an effective adjunctive method for growth control of vestibular schwannomas and is associated with both a low mortality rate and a good quality of life. 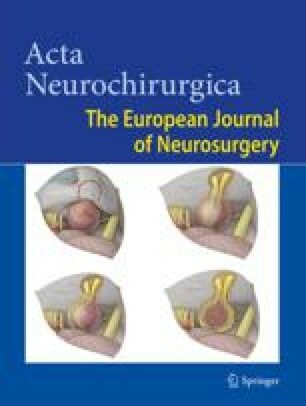 Accordingly, radiosurgery is a rewarding therapeutic approach for the preservation of cranial nerve function in the management of patients with vestibular schwannoma in whom prior microsurgical resection failed. Keywords: Microsurgery; radiosurgery; vestibular schwannoma.